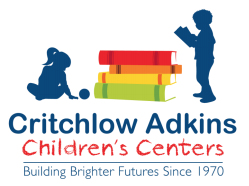 The White Marsh Site (WMS) of Critchlow Adkins Children’s Centers offers a before and after school program for children in kindergarten through fifth grade. The program for school age children is offered all day during most school closings and the summer months. All programs operate from 6:45 a.m.-5:30 p.m.
WMS was recently awarded accreditation by the Maryland State Department of Education (MSDE). This voluntary accreditation follows a rigorous process of self-study, document preparation, program enhancement, verification by early childhood education professionals, and a final review by MSDE. Accreditation is valid for a three-year period. WMS was previously accredited by NAEYC (National Association for the Education of Young Children). Fun-filled days of swimming lessons, arts & crafts projects, outdoor play, center play, cooking projects and field trips describes the WMS summer program.